Each package contains a different cost - travel time to and from the venue will also Be taken into consideration. Length of performance and additional add ons from packages will also determine your overall quote. Please message us to receive a quote . 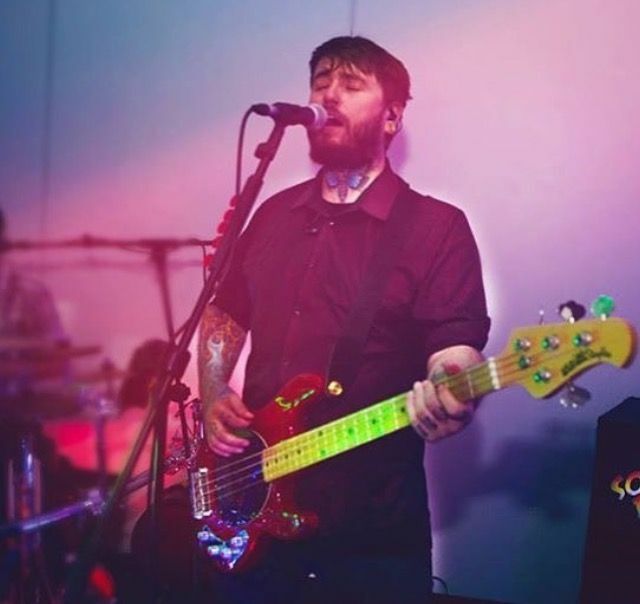 You will be asked: 1/ the location of your event and if the venue has a noise limiter 2/ how long you wish the band to perform - 2 x45 or 2 x60 minute sets 3/ whether you want our female DJ service along with the band who can take requests on the night 4/ Whether you would like our female vocalist to join the band Once we have that information we can give you a quote for your event. 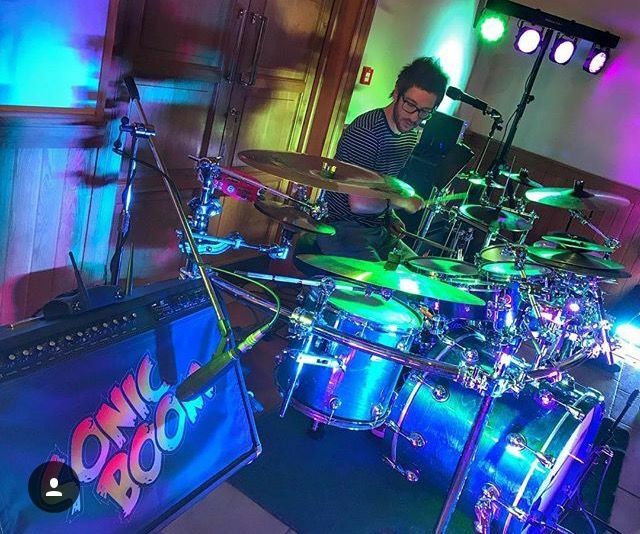 Sonic Boom - we are a high energy function band with many years of experience performing at weddings and other events across the UK. With all our own PA system and lighting we are fully self contained and offer a friendly, reliable, affordable and professional service. We have three members who all sing and play the drums, bass and guitar so you are assured you are booking a 100% live band. Hi Guys, Thank you so much for yesterday, it was the cherry on the cake having fab live music from you guys, I literally don't think I left the dancefloor all night! Hey! Omg everyone had such a good time...thank you so much, you were all amazing and made so much effort with the costumes and everything! A good night out at the Malthouse in Ironbridge last night with Sonic Boom. I can't recommend this band highly enough so if they're every over your way, make some time to go and see them. Another excellent performance, great energy and good to see the place buzzing like I've never seen it before! Thanks, you were brilliant as always and everyone commented on how great you all were. You made the night! We have performed at a wedding with radio 1 DJ Scott Mills in Badger Shropshire. 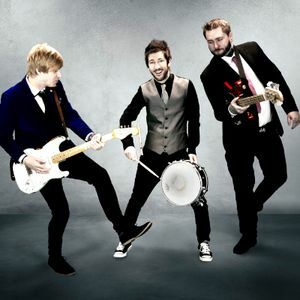 We have been featured in the press twice recently , once whereTim Vine the celebrity comedian recently got up and played the drums with us at a corporate event. One of the band members had only paid to see him perform on stage a year before!The other occassion was when we supported the world famous Harp Twins on their UK tour , these ladies have amassed over 74 million views on Youtube and we were lucky enough to support them on their Telford leg of their UK tour and joined them onstage to perform an encore . A fantastic sold out event that we will never forget ! 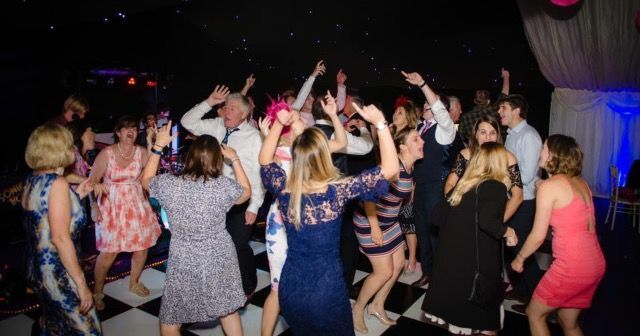 We offer an interactive service where brides and grooms or guests can get up and sing a song with the band, an interactive drum solo making it more memorable and exciting for the guests. We also offer an inhouse photography service so all your party moments are captured as you dance the night away! We usually take one break in the middle of our performance and that is usually inbetween the first and second set and that is 20/30minutes . This allows your guests to get a drink and for us to pop to the toilet and grab a refreshment .We can play straight through for 1 hour and a half if required to. How long do you need to soundcheck/set up? Do we need to feed the band ? We would usually spend 7/8 hours at an event setting up and performing so if their is any food or refreshments available for us to have then we would welcome this and accept any offers as we can get alittle hungry and need lots of energy for our high energy set . Many thanks it is appreciated when it is offered . What advice would you give anyone hiring you for an event ? Please do not serve any food during our performance. If you have evening food planned please can we ask you plan it at least half an hour before our first set so people can eat and let their food go down . No one likes to dance on a full stomach ! It is a sure dancefloor killer ! We would need as much notice as possible in order to learn any new songs as we are gigging all of the time. If we are unable to perform your song or a song you want to hear during the evening please let us know and we will ensure its played through our speakers during one of our breaks . Please note our full setlist is listed within our profile . Yes we have both certificates which can be emailed to the customer or venue if required . We have all our own professional HK active PA system with in ear monitors . We are able to cater upto 500/600 guests with this PA system . 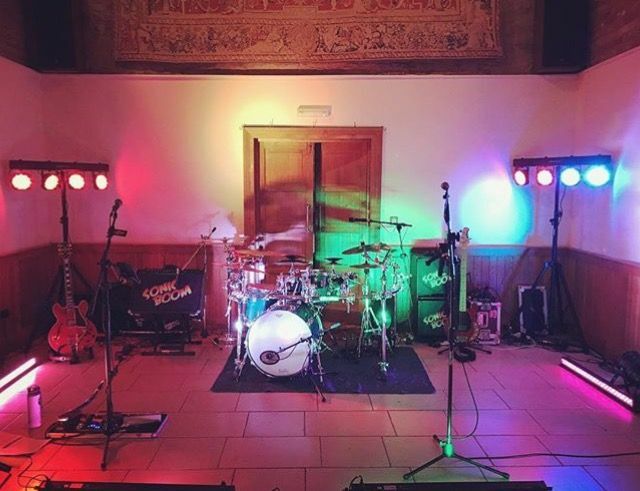 We have all our own professional lighting which include a drum light, x 4 floor strip lights , x2 parr lights on stands , x 1 laser light for the dancefloor , x2 onstage moving heads and x 2 spot lights. Two sets of 45 minutes plus encores so around one hour and three quarters or customers can purchase our services for longer , 2 x 1 hour sets plus encores so on stage around two hours and a quarter . Via BACs transfer Cash on the evening of performance usually when we arrive after setting up before we perform . Weddings , private parties, festivals, school proms , charity balls , and corporate events .